Prof. R. Varaprasad Kaviti has a B.Tech Degree in Mechanical Engineering and M.Tech Degree in Machine Design from JNTU, Kakinada. 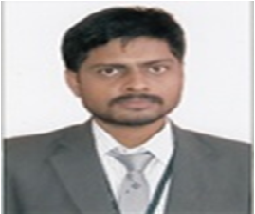 He is pursuing his Ph.D. from Periyar Manimmai University, Thanjavur. He has three publications to his credit and has taught subjects like composite materials technology, dynamics of machines, finite element methods, kinematics of machines, operations research, computer aided engineering drawing, automobile engineering, elements of mechanical engineering for the undergraduate and postgraduate students.